Shoulder joints have a lot of mobility, resulting a broad array of potential issues. These issues are mostly treatable, whether you simply have a troublesome shoulder, or recovering from surgery. Hills Physiotherapy is committed to giving the very best care an attention to patients experiencing shoulder pain. Let our physios assist you in reducing pain and discomfort. When Should I Visit My Physiotherapist? Any sharp, dull, deep or aching pain in or around the shoulder. Experiencing audible popping or cracking sounds in the shoulder joint. Sensations like pins and needles up and down the arm or numbness in the hand. Weakness and instability in the shoulder or arm. Pain in upper back or neck. Dislocation – feeling the arm separating from the shoulder joint. Subluxation – feeling the shoulder popping out and back in. Inability to complete normal everyday tasks. Dull/aching – dull shoulder pain can be enough to interfere with your everyday life. While you may not think it to be bad enough to seek physiotherapy, if it doesn’t go away by itself within a few days it’s best to get it assessed. 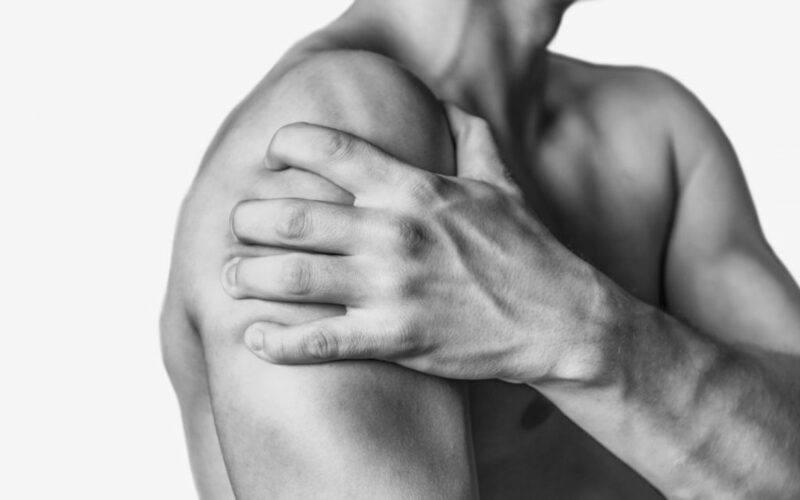 Sharp/shooting – If the pain becomes sharp and you are unable to use your arm, this could be a sign of some structural injury, and it’s best if we check whether you’re safe to move and exercise. Everyday activities – Performing basic every day tasks should not be causing you pain. If it is however, it will likely be treatable. High impact physical activities – If your shoulder only hurts during higher level loads or fast movement, it is most probably due to a strength imbalance. Some assessment of this, and a few exercises to correct this, and you’ll be back to sport in no time. Overuse – Too much of a good thing (or even a bad thing) can make tendons sore and inflamed. After ensuring nothing serious is wrong, some advice about activity modification and gradual return to activity will likely sort this out. Due to the mobility of the shoulder joint, pain can be experienced in relation to a range of injuries of the shoulder, neck or upper back. Some of the more common conditions are postural dysfunctions, post-surgical rehabilitation, tendon impingement, shoulder bursitis, acute joint soft tissue injuries, rotator cuff dysfunction and tears, AC joint injuries, and post-fracture rehabilitation. Here at Hills Physiotherapy we treat all of these conditions and help you to identify exactly what is causing your pain. If you have any questions please contact us for more information, or book an appointment to start your road to recovery. For more information on shoulder pain, visit Better Health.